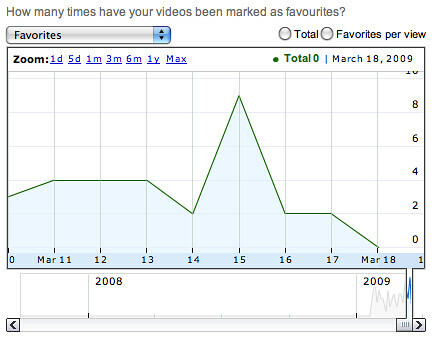 YouTube has added new statistics to YouTube Insights, the YouTube video analytics. 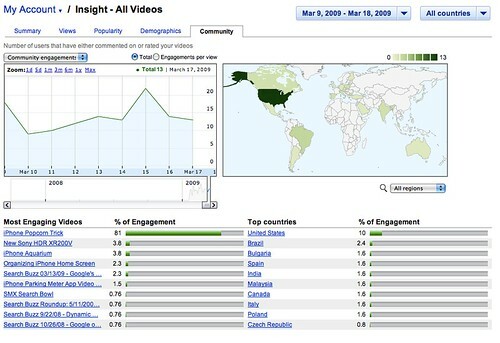 I wrote about YouTube Insights when it first launched a year ago. 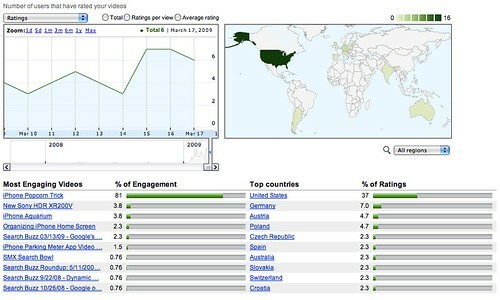 Today, they added features to tell you how engaged your viewers are, i.e. do they like your videos? These are welcome features for me, being that I produce a weekly search video that you all subscribe to, right?